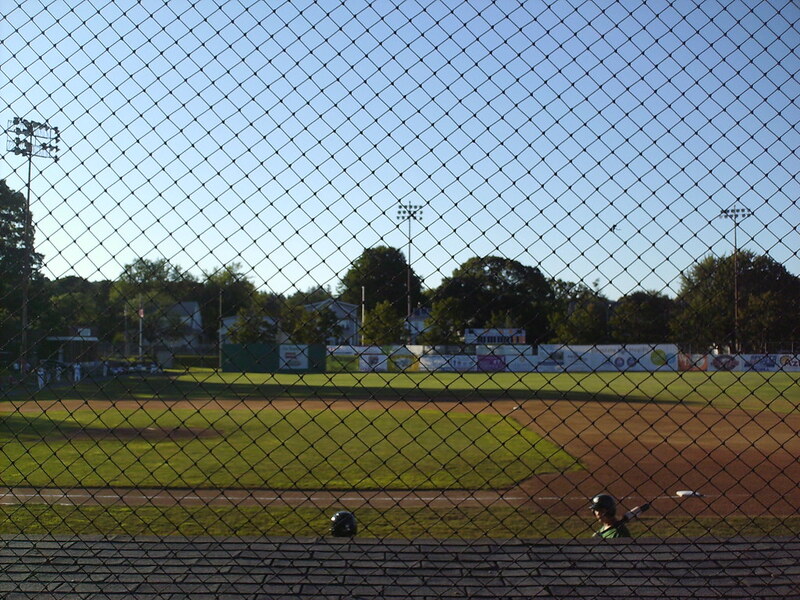 The view from behind home plate at Mackenzie Stadium. 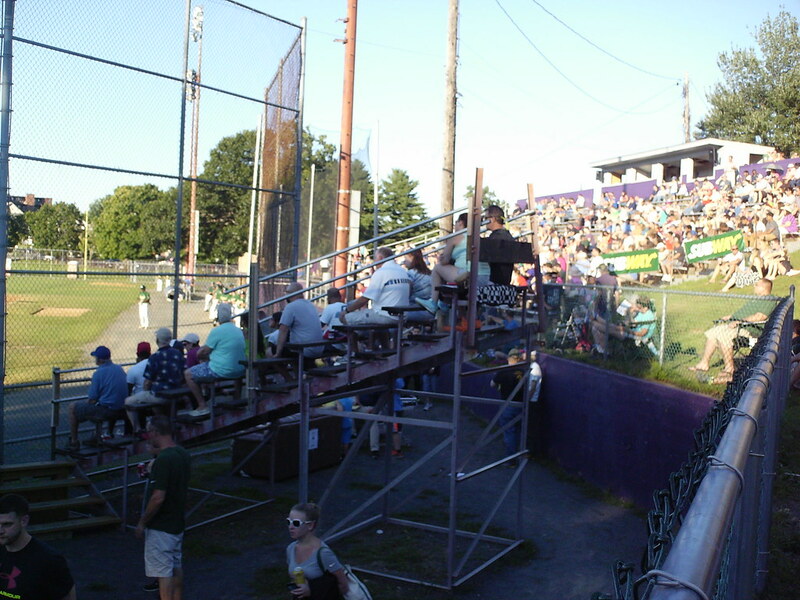 The grandstand and seating areas at Mackenzie Stadium, as seen from the main concourse. 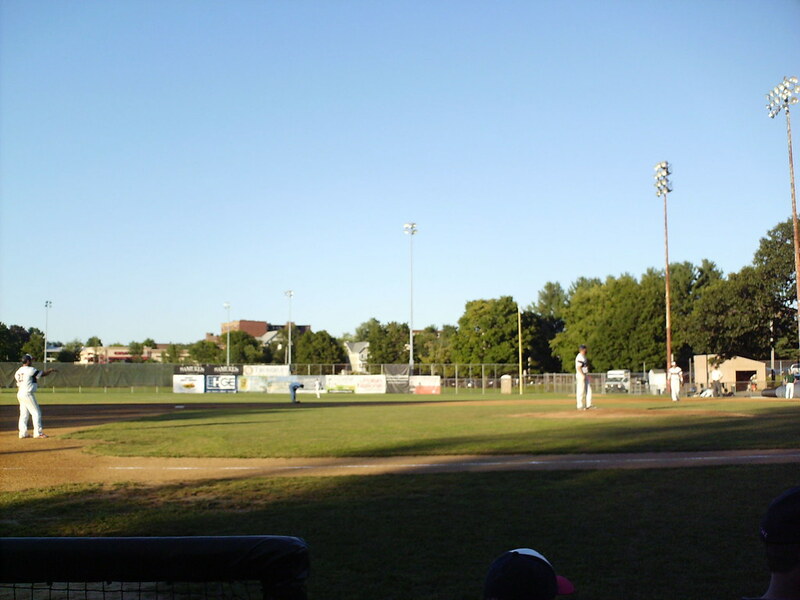 The main seating area is a large football-style grandstand that runs along the first base line. 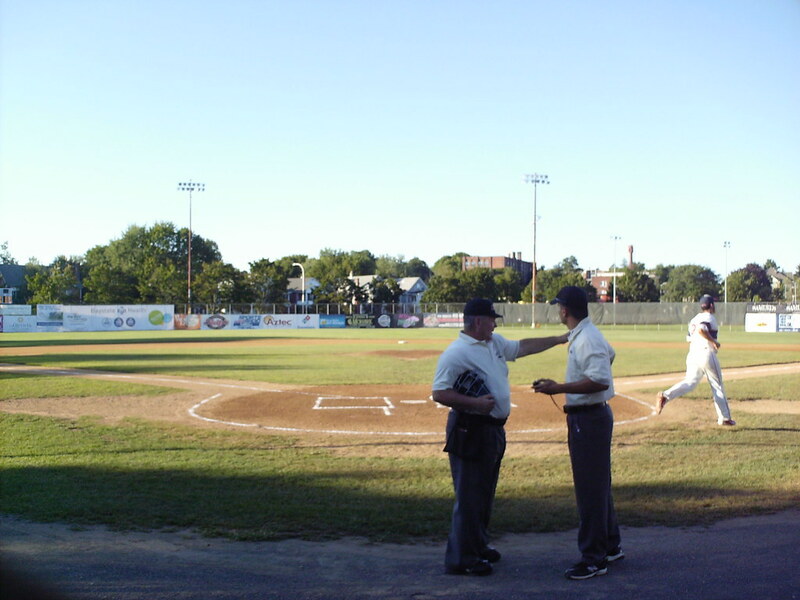 The grounds were likely used for football when the stadium was built in the 1930's. 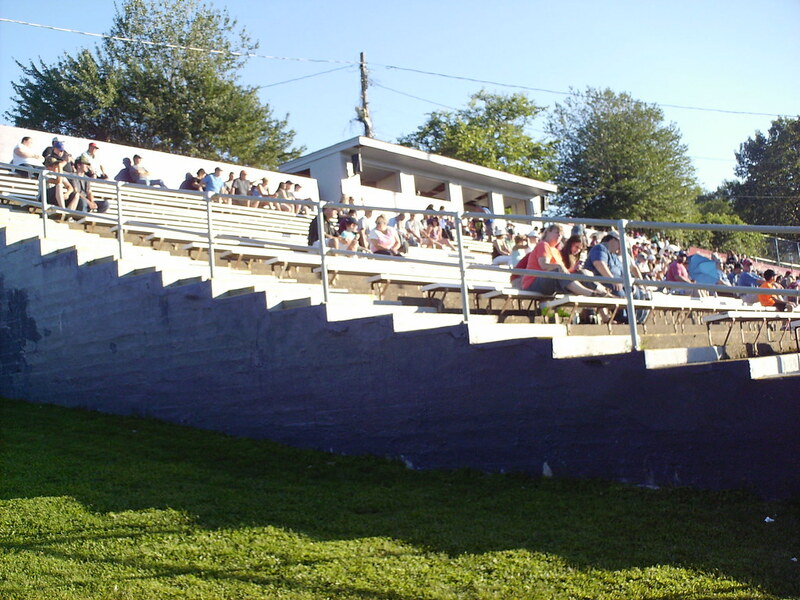 The grandstand is built into a hillside and features long rows of bleacher seating with the pressbox perched on top. 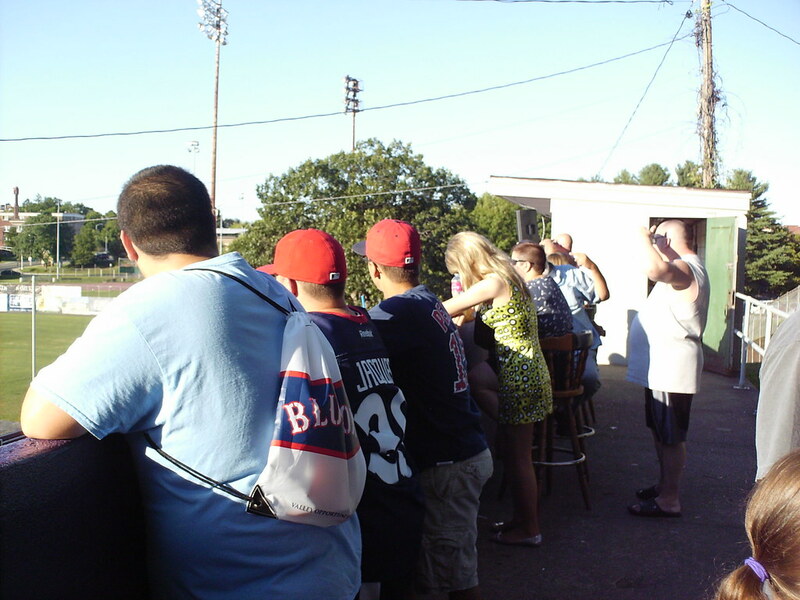 Barstool seating and standing room areas sit next to the pressbox at the top of the grandstand. 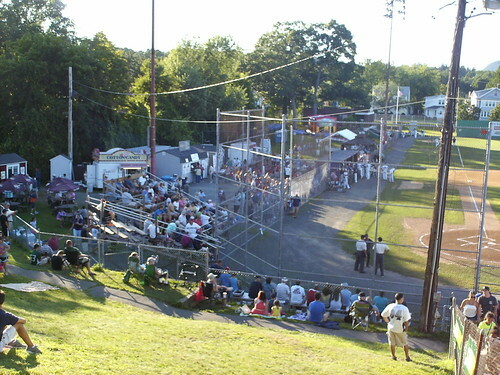 Because the stadium is built into a natural hill there is no permanent seating behind home plate, just a steep grassy berm. 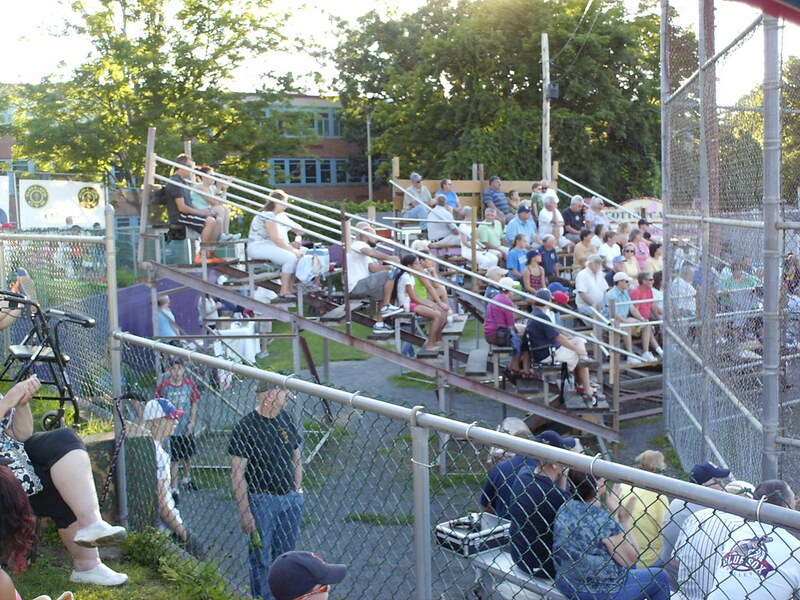 Small, extremely steep bleacher sections sit behind the backstop, with smaller aluminum bleachers on either side. 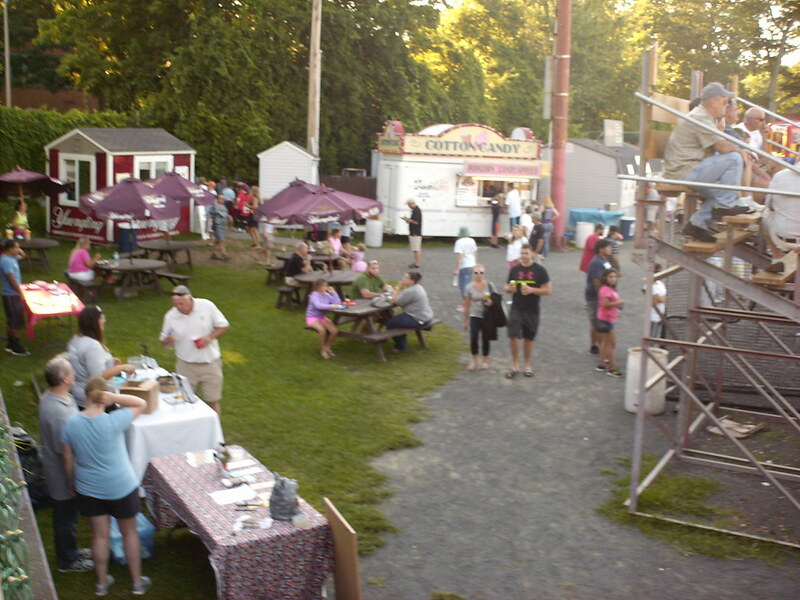 The concourse behind home plate features picnic table seating and mobile concession stands. 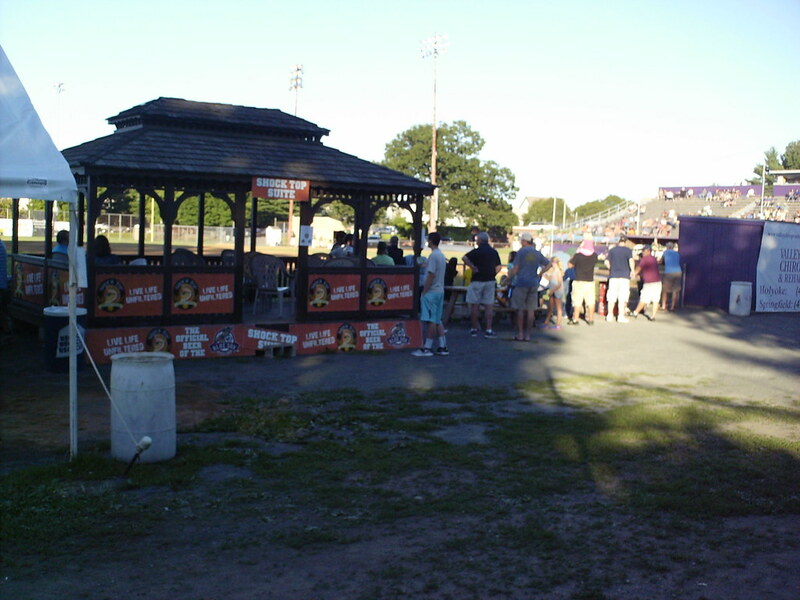 A covered party deck sits down the third base line at Mackenzie Stadium, next to the field level dugout. 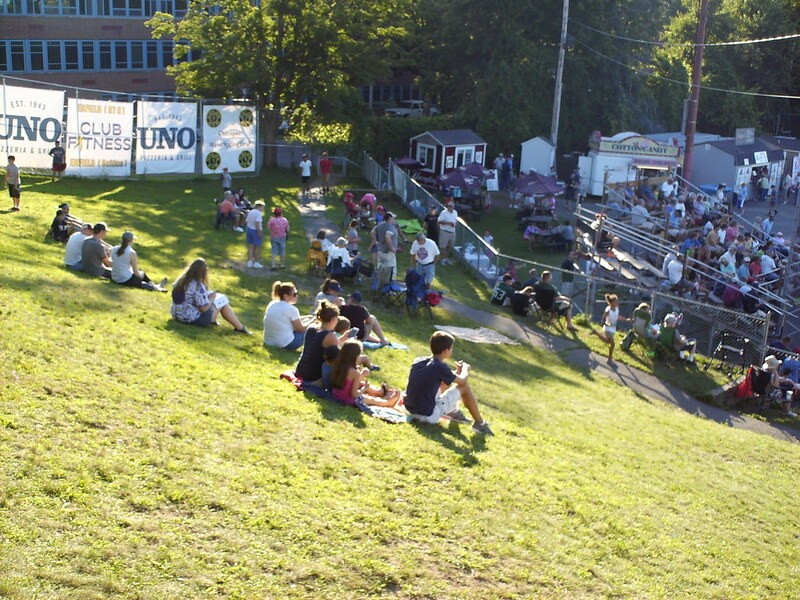 More group seating sits in the left field corner, along with plenty of room for fans to bring their own chairs. 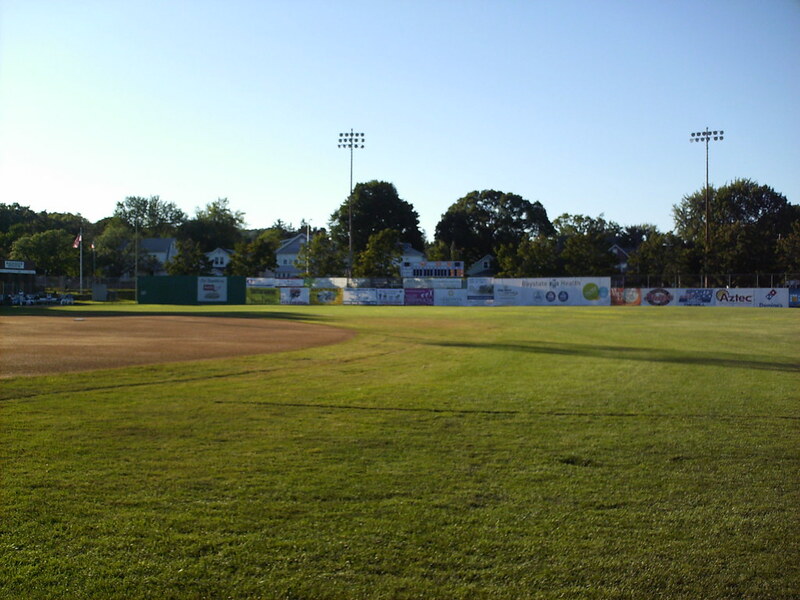 Unused plastic stadium seats lie beneath the trees along the outfield concourse. 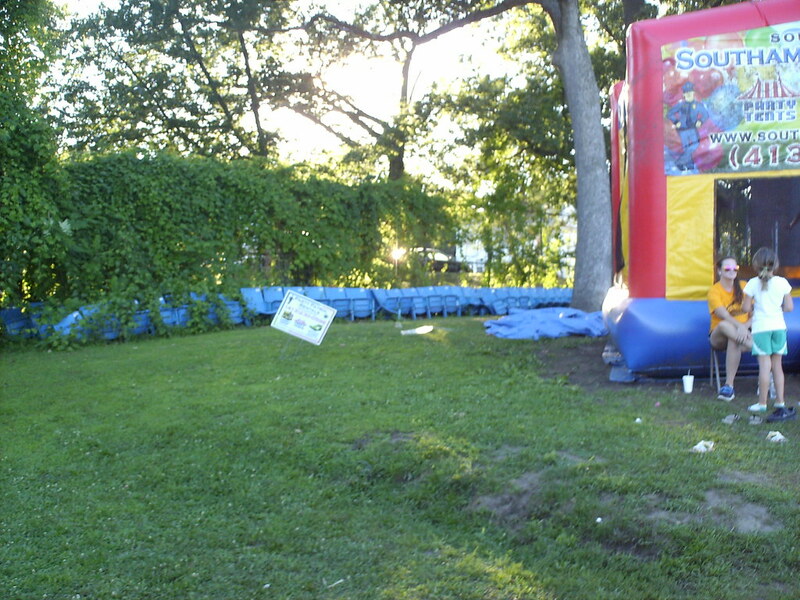 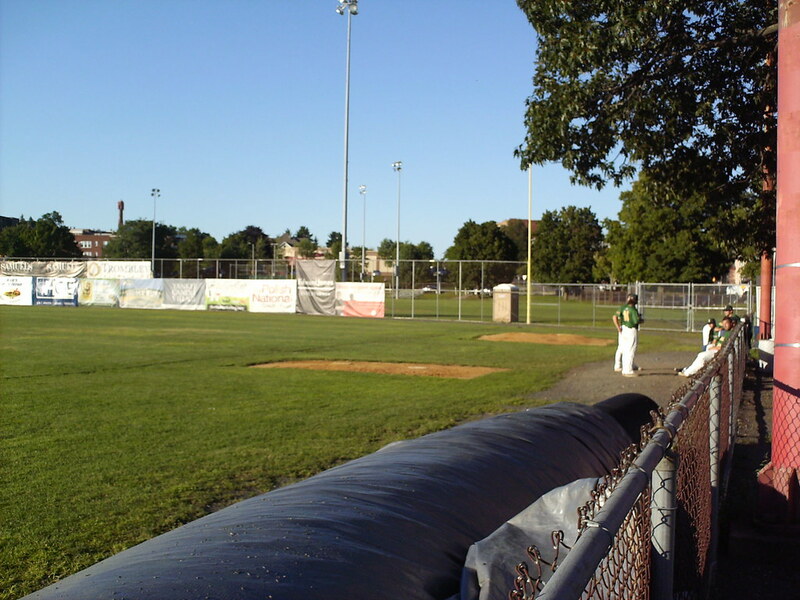 The outfield wall is chain-link fencing, and the bullpens sit in foul territory. 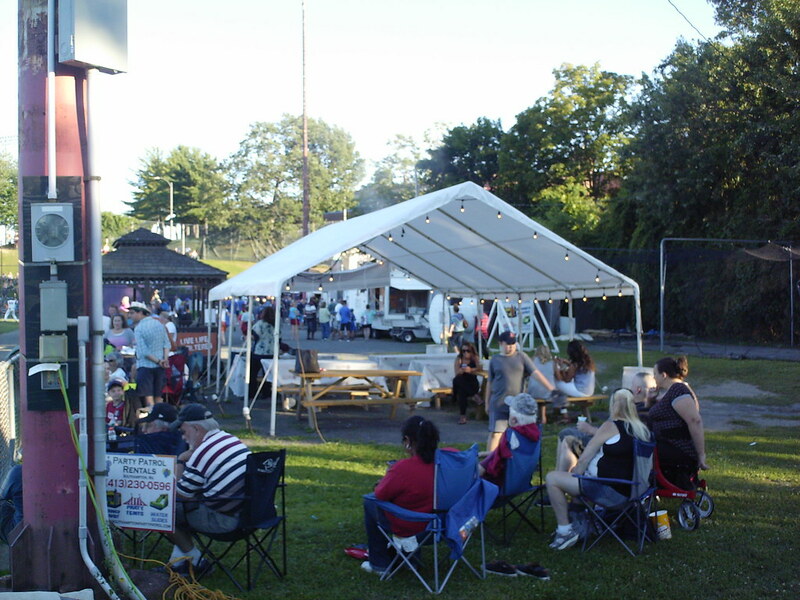 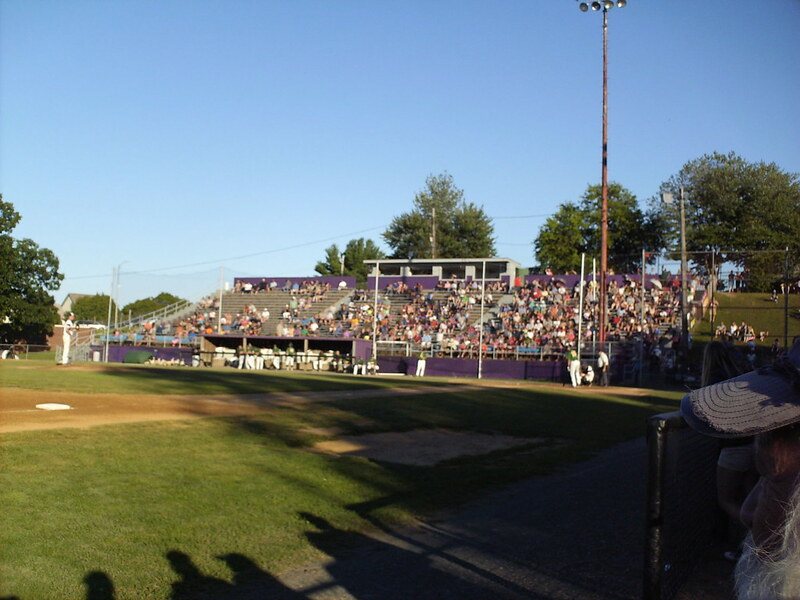 Mackenzie Stadium is located in a residential area of Holyoke, and houses peek out from the trees behind the outfield fence. 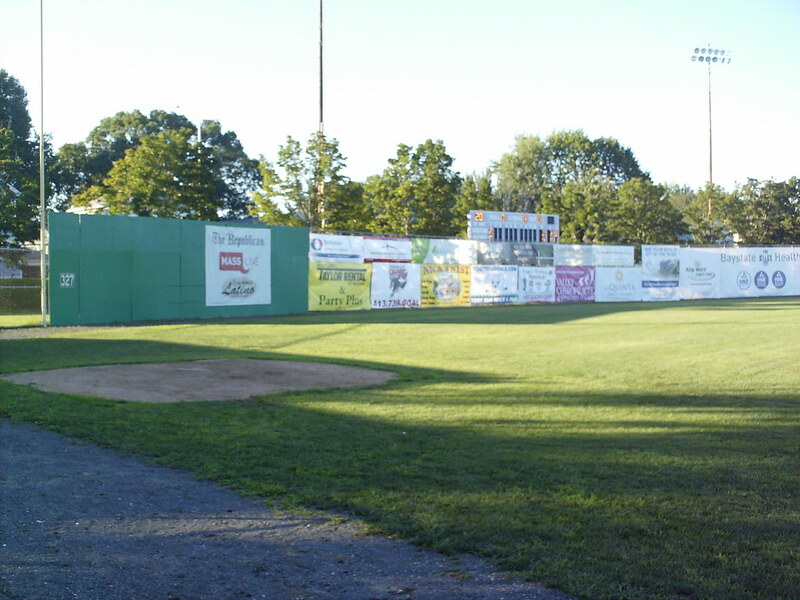 The scoreboard sits above the left field wall. 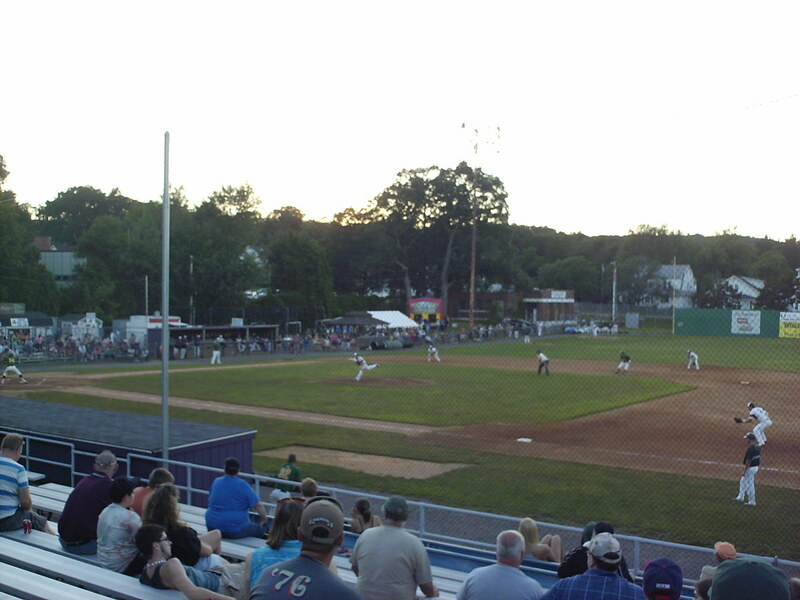 The Valley Blue Sox on the field during a game at Mackenzie Stadium.